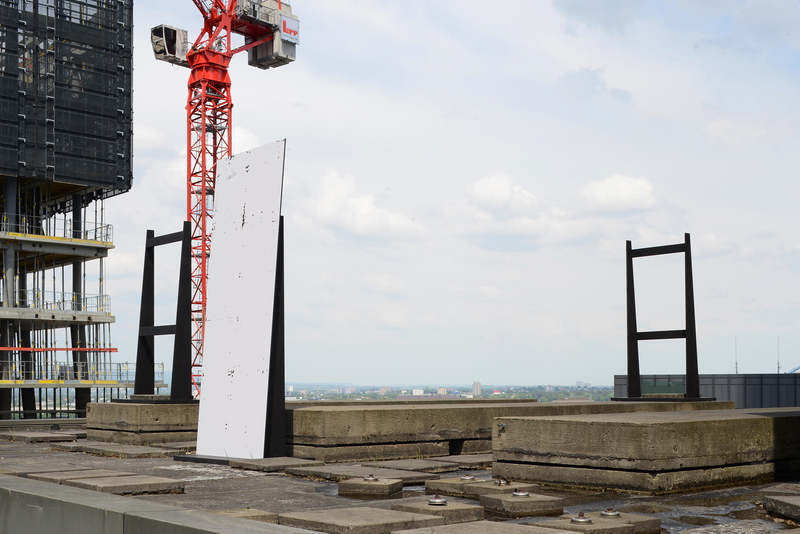 On the occasion of artist Michael Riedel’s solo exhibition at Museum Angewandte Kunst in Frankfurt, e15 launches a limited edition of table ANTON for e15 SELECTED. 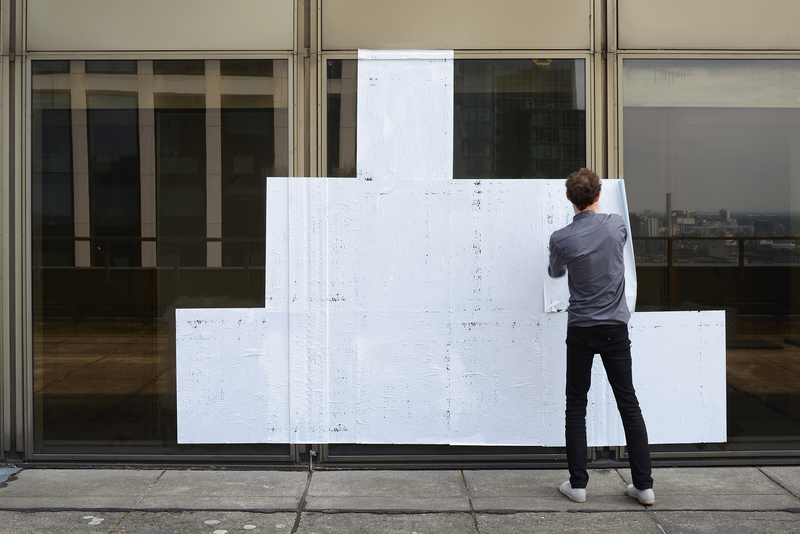 For the EDITION MICHAEL RIEDEL, the artist especially created twelve motives within his ‘Art Material’ series which is characterised by a never-ending process of overlapping text blocks, resulting in areas dense with white text set on a monochrome black surface. 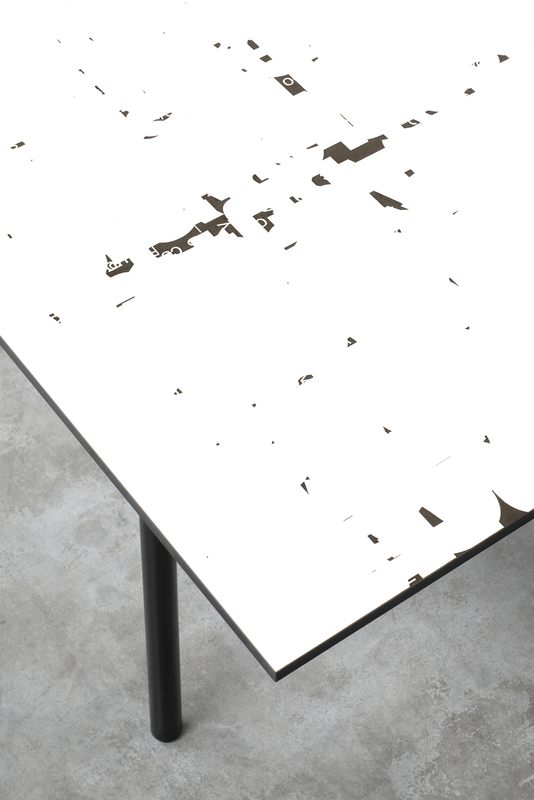 The motives are laser etched into matte white table tops made from a laminated material to reveal the underlying black core, resulting in a three dimensional effect. 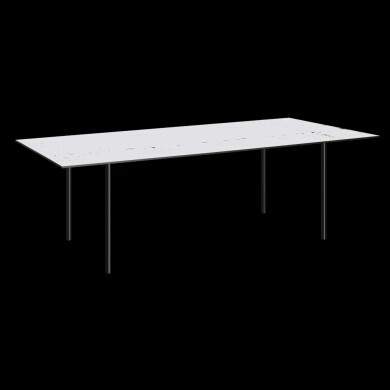 Originally designed by e15 co-founder and architect Philipp Mainzer, table ANTON is characterised by a minimal and linear silhouette and reflects the brand’s philosophy based on consistent and progressive design. 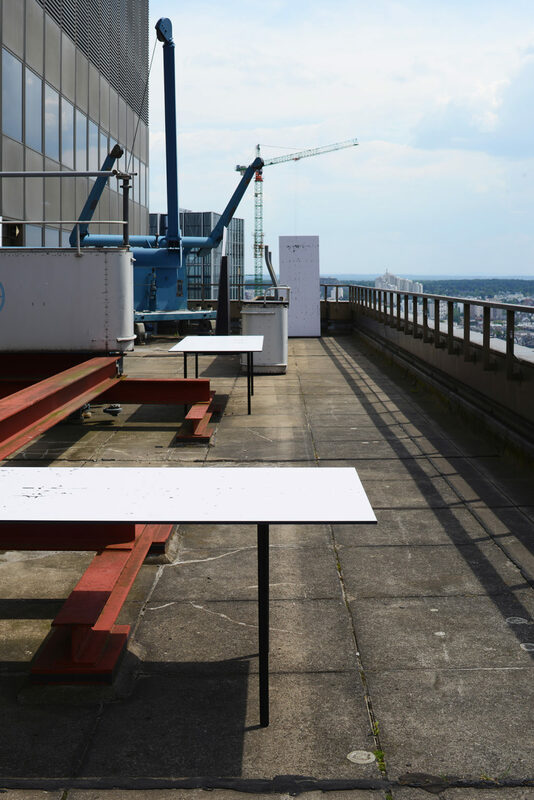 The collaboration with Michael Riedel was first presented on 15 May 2018 during an event on the rooftop of Global Tower Frankfurt. 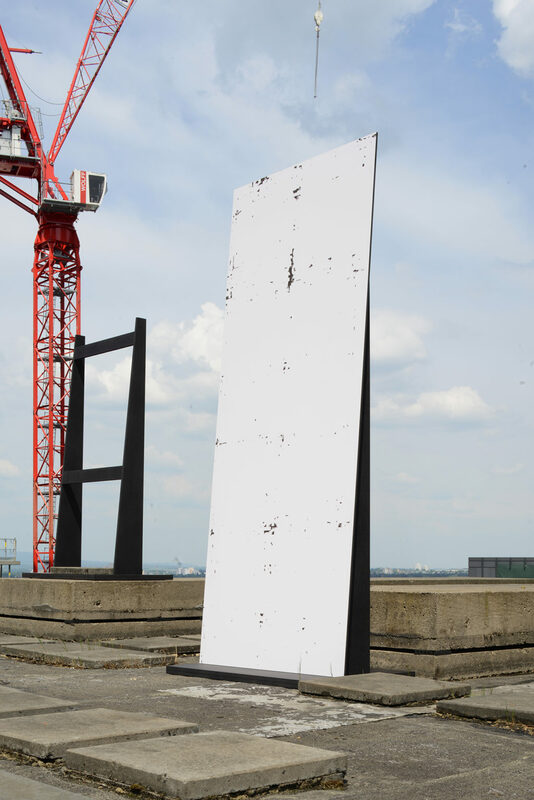 As part of the exhibition MICHAEL RIEDEL. 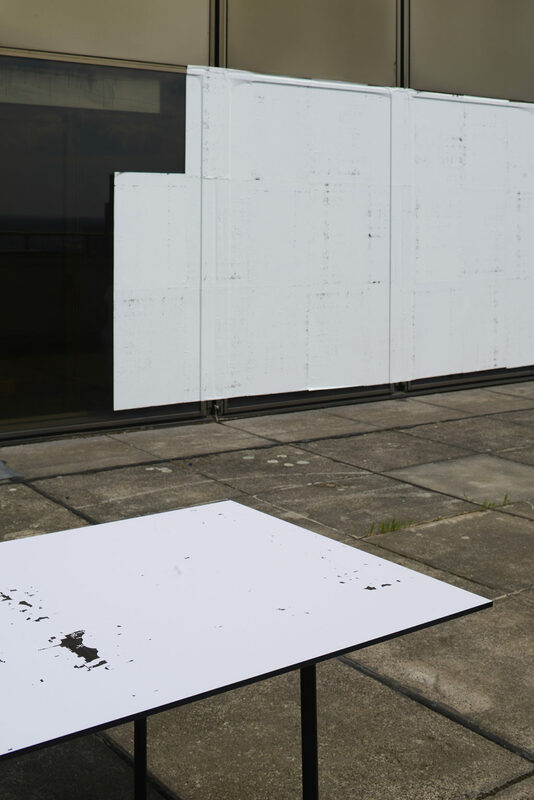 GRAFIK ALS EREIGNIS at the Museum Angewandte Kunst in Frankfurt, Germany, e15 together with the museum invites to a special event on September 27. 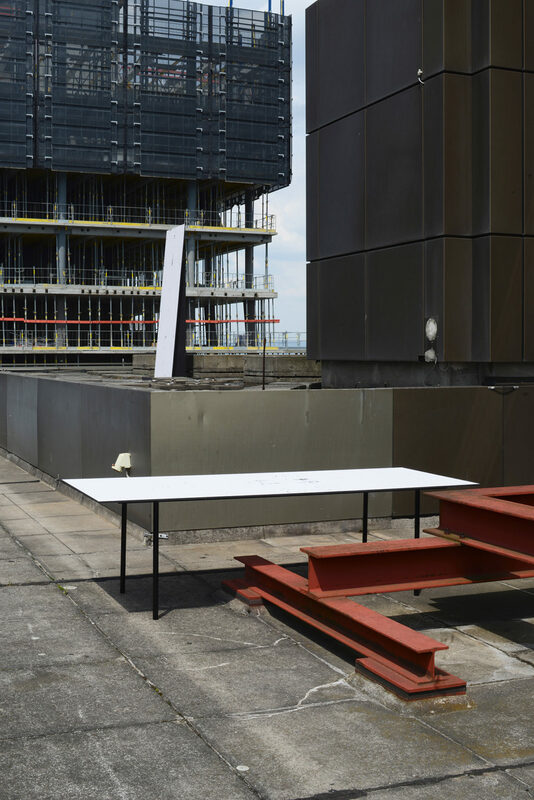 A guided tour through the exhibtion by its curator Dr. Eva Linhart will be followed by a talk with artist Michael Riedel and designer Philipp Mainzer about their collaboration of table EDITION MICHAEL RIEDEL. Entry to this event is free. Please RSVP to rsvp@e15.com by September 20, 2018. Due to organizational reasons, attendance is limited.